NINE at Mary Brickell Village is a new luxury condominium located in the heart of Mary Brickell Village at 999 Southwest 1st Ave. It will include 390 elegantly appointed residential units and rise 35 stories to overlook the neighborhood’s culinary, nightlife and retail scene. 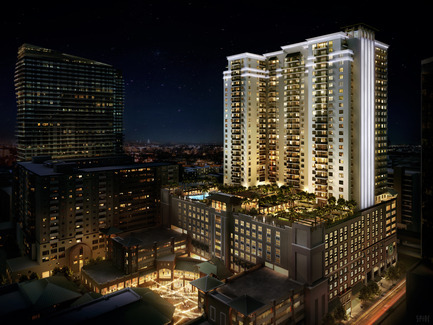 Slated for completion in Summer 2014, NINE at Mary Brickell Village will be brought to life by industry powerhouses Starwood Capital Group and LYND, with sales led by Fortune International. Standing as the only residential tower inside Mary Brickell Village, NINE will feature units starting from the high $300,000’s. There are 30 available floor plans which will be sold in one-, two-, or three-bedroom formats, and ranging in size from 744 to more than 2,098 square feet. Residences will boast beautifully appointed kitchens with stainless steel appliances, quartz countertops and backsplashes, designer fixtures and hardware, oversized mirrors, spacious walk-in closets, and large soaking tubs. Units will come fully finished with flooring, baseboards, paint, lighting fixtures, solar window shades, and all other finishes! A piece of Paris in our own back yard.